Perfect for Private Investigators, Building Contractors, Security Companies. 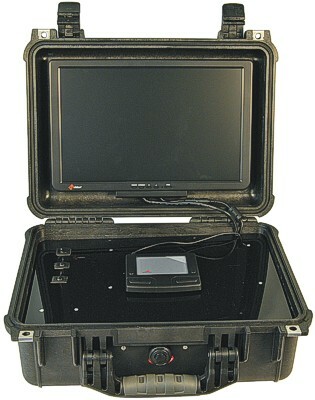 This multi-channel portable DVR is a stand alone system built in a heavy duty Pelican case. You can remotely configure this system through the Internet using the included software. Easily go from wireless to wired by just plugging in a cable. Can use up to 8 cameras including a combination of wired and wireless. There is a 3-week lead time to construct this system.